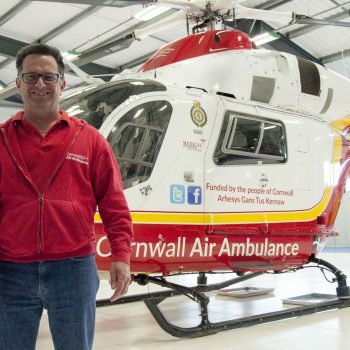 Kevin's role with the charity is to support the air ambulance charity shops across Cornwall with regular deliveres and collections of stock and recycling. He also arranges the collection of donated furniture and sales deliveries to customers. Kevin assists the charity with shopfitting and refitting of retail outlets, and planned maintenance of premises and facilities owned or leased by the charity. Kris joined in May as a Critical Care Paramedic. 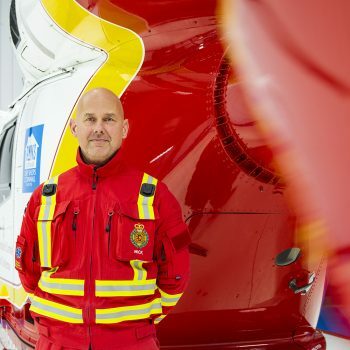 He has previously worked as a Paramedic for the Ambulance Service in Penzance, and then became a Training Officer where he travelled around Cornwall and the rest of the UK supporting the development of training courses. His main interest is acute medicine, and he is looking forward to returning to a more clinical role, and engaging with patients to provide the best possible care in a moment of crisis. He is also looking forward to developing additional skills and equipment training with the team to provide treatments that may not normally be available. After leaving school Lynnette trained as a pastry chef for three years, doing part of her training in Bavaria Germany. Once qualified she travelled to Greece to work for an English and Greek restaurant. The following season she went to work in the Channel Islands on a small island called Herm, three miles off the coast of Guernsey. She had a contract for six months and took just a rucksack but came back 16 and a half years later with a husband and two children. While Lynnette was there she was a pastry chef on and off between having children and she also helped to run the island's three gift shops. 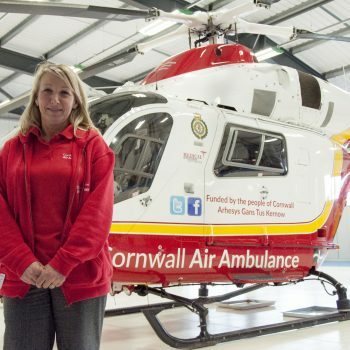 She now runs a small cake business alongside her job running the Cornwall Air Ambulance shop in Wadebridge. The cause is particularly close to Lynnette's heart as her son was airlifted in 2015. Since Mandy left school she has worked in retail, both in the food and clothing sectors. When she went back to work after having children she worked at the Asda store in Bodmin, progressing to supervisor in the ‘George’ department, then enrolling onto the management programme. After a while Mandy wanted a new challenge so she became a shop manager to two shops of another Cornish charity. After two years she was promoted to Deputy Retail Groups Manager for its 27 shops. She joined Cornwall Air Ambulance in 2016. Mick joined the ambulance service in Cornwall (SWAST) in June 2002 after serving 11 years with the London Ambulance Service. 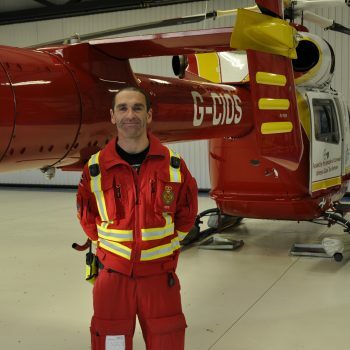 He has been working on the Cornwall Air Ambulance since May 2006 as a full time member of the team of six. Although she is not Cornish, Paula spent her childhood in the county in the St Austell and Roseland area, and later came back to Cornwall in 1998 to live and work. Paula joined the charity in May 2008 having previously worked in businesses as diverse as building surveying, accountancy, sustainable agriculture and renewable energy technologies. Her career background is founded in people, project and finance management, delivered through charitable organisations, NGO’s and European funded projects. Her work in leadership has included overseeing extensive change and organisation development at the Cornwall Air Ambulance Trust, where she works closely with the Board of Trustees on strategic leadership and development, and managing the senior leadership team. 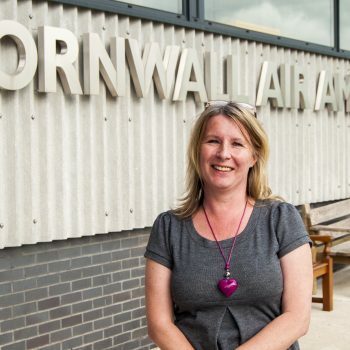 Paula maintains strong connections with the fundraising community and, together with other members of the fundraising team, she regularly delivers talks about the work of Cornwall Air Ambulance to its supporters. She is a member of the Institute of Directors, Institute of Fundraising, and the Chartered Institute of Personnel and Development. 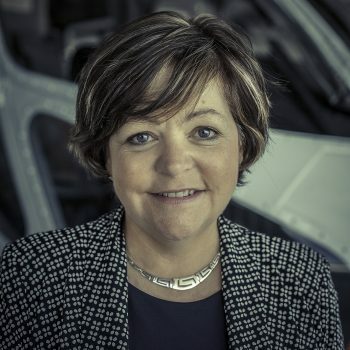 For the past three years Paula has been a Director of the national trade body for the air ambulance sector, and is currently Chair of the Board of Directors for the Association of Air Ambulances. In spare time she likes to travel, preferably on a cruise ship, and create her own knitted garments. Walking and cycling are two of her favourite activities as well as visiting National Trust properties. Paula is also a Rotarian, and is the Youth lead for Rotary District 1175 Devon and Cornwall. She has one daughter who lives and works in London, and a Siamese cat at home in Bodmin. 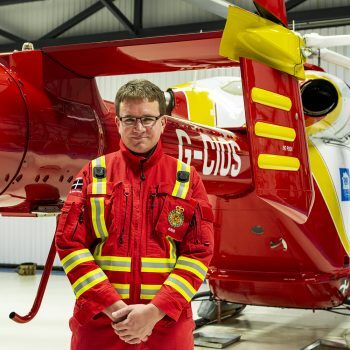 Pete joined Cornwall Air Ambulance in July as a trainee Critical Care Paramedic. He comes from Northampton, and moved to Cornwall with his parents 26 years ago. He has previously worked as a Retained Firefighter for 15 years, and a Paramedic for the Ambulance Service based in Newquay. He then became a Practice Placement Educator for the Trust. With an interest in anatomy and physiology, Pete is looking forward to developing his skills in trauma patients as he becomes a Critical Care Paramedic. In his spare time he has set himself the challenge of walking all the coastal paths in Cornwall with his girlfriend and their dog. He also enjoys running and cycling.